Steered by his 1913 railway guide, on this journey Michael Portillo explores the once-great empire of Austria-Hungary, domain of the famous Habsburg monarchs. 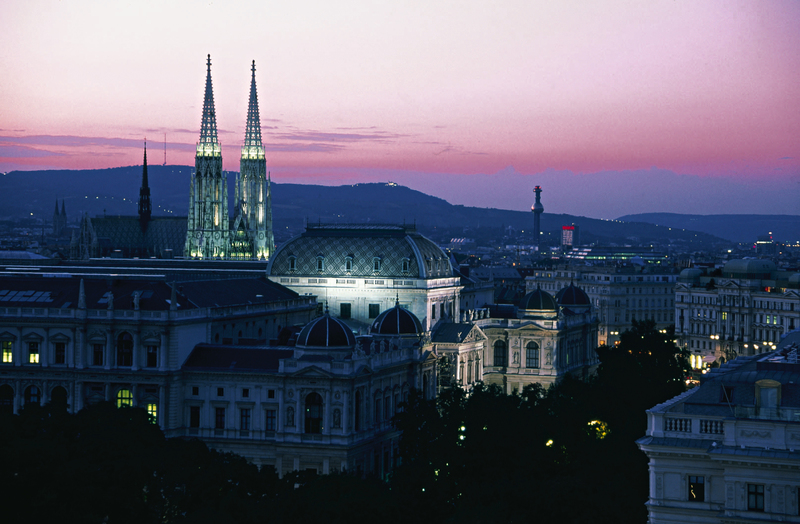 Starting in Budapest, the capital of Hungary he travels via Bratislava in Slovakia, to the beautiful and elegant city of Vienna where he immerses himself in pre-war decadence. From there he travels to Salzburg, before heading to the magnificent scenery of the Salzkammergut region to visit the emperor's Austrian summer house at Bad Ischl, where in 1914 European history changed course forever. Ffestiniog Travel's comprehensive European ticketing service allows you to follow in Michael Portillo’s footsteps. This week Portillo begins his journey in Budapest's historic Keleti station. So that Michael could visit Bratislava, Vienna and Salzburg in the detail he has gone into he has clearly taken a few days to cover his journey. The line from Vienna to Salzburg is operated by the new high speed RailJet service, reaching speeds of up to 200km/h. The rail travel, without time to look around, would take around 11 hours but stopping to sightsee in each city would not add to the ticket price. Fares start from £135.00 for a single journey in second class.